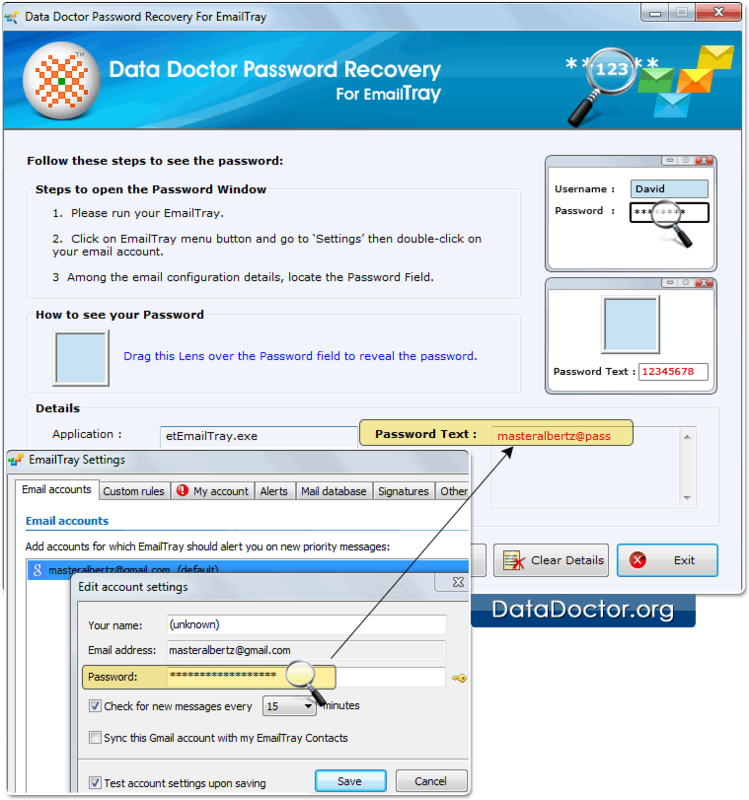 Password Recovery Software restores multiple accounts password of Email Tray account that are stored behind asterisk (***). 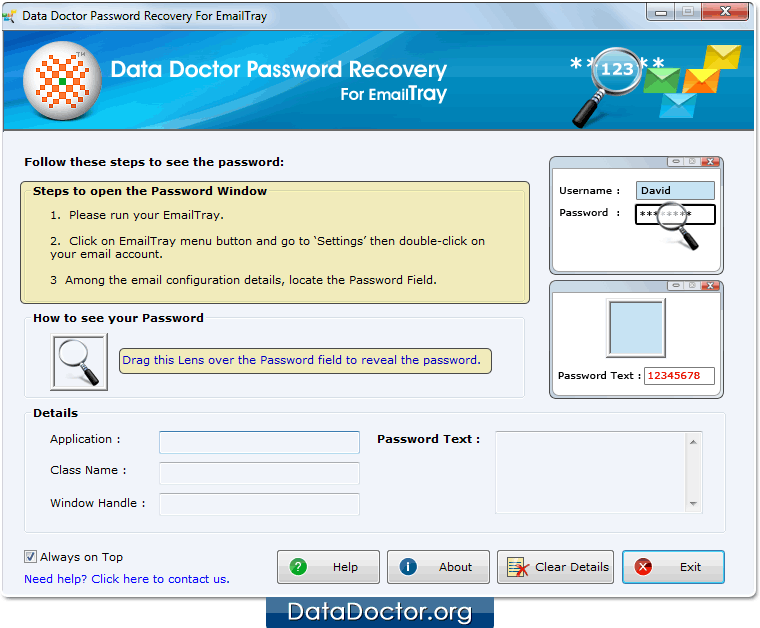 Software is compatible with Windows 10, Windows 8, Windows 7, Windows Vista, Windows XP and other latest operating systems. 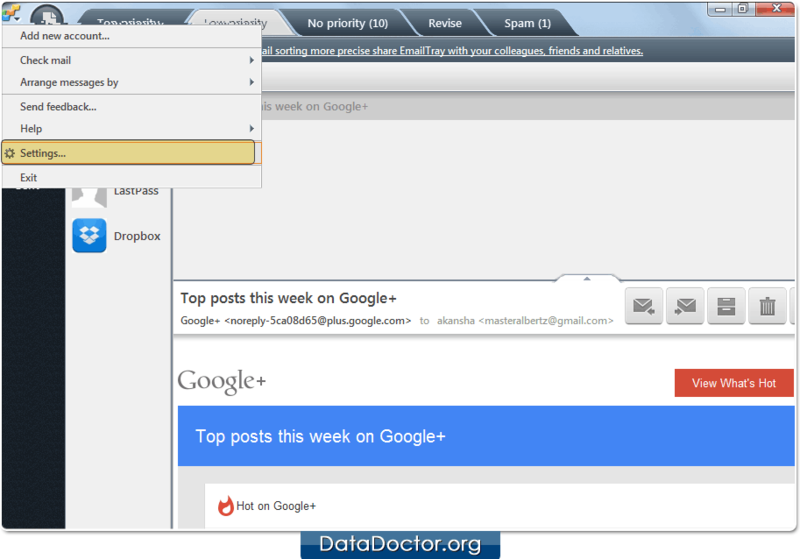 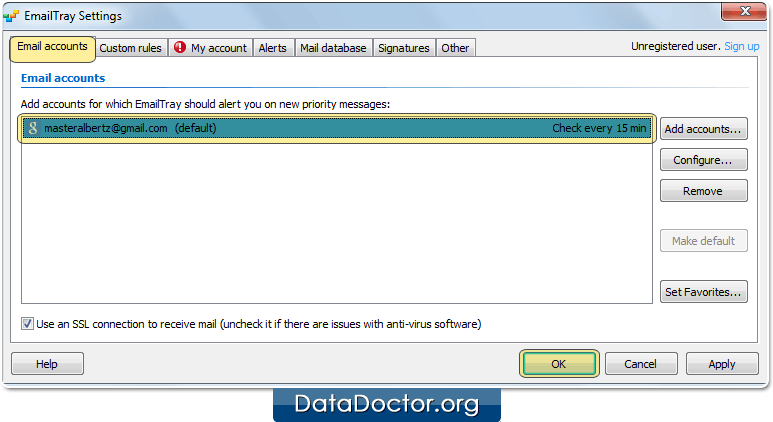 Run your Email Tray Software and Go to 'Settings' option from menu. 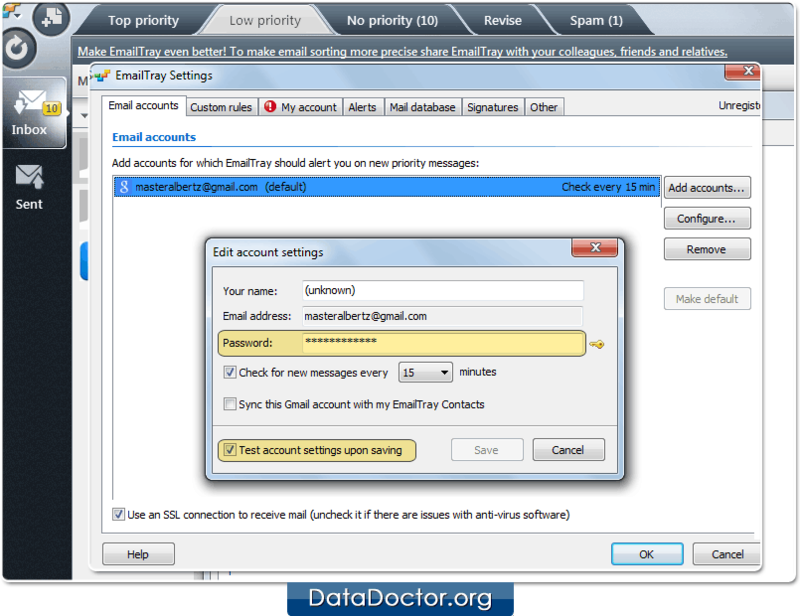 Select email accounts tab and choose your account by double clicking on it, Then click 'OK' button.